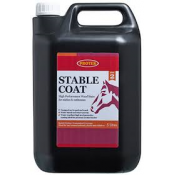 This dramatic solid black colour will transform any stable yard into a modern stylish place and w..
We offer Stable Coat in a clear un-pigmented formula for use as a top coat for stables and timber.. 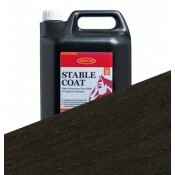 This strong dark brown treatment will cover over any existing colours and tie in any new buildi..
Protek have developed Stable Coat Light Green as a colour match to the green pressure-treatment th.. The Golden Brown colour is traditionally the most popular colour for stables. 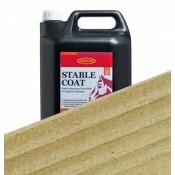 It is the colour we..
125mm Samples of the Stable Coat range can be purchased individually. Please note that the stan..